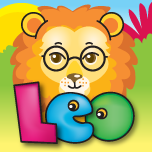 Leo Spanish is a fun and engaging program to teach younger learners simple Spanish words and letter pronunciation. This program includes 30 words and several coloring pages that reward learning and encourages creativity. 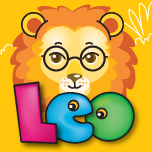 Leo English is a fun and engaging program to teach younger learners simple English words and letter pronunciation. 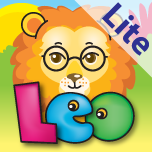 This program includes 30 words and several coloring pages that reward learning and encourages creativity. 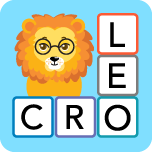 A fun math game for kids to practice math facts and monitor their learning progress.Recommended by teachers for addition,subtraction, multiplication, and division facts Monitor progress towards mastery with an interactive graph Exciting game play that makes practice fun! Teachers recommend Box Drop Math because it helps children master math facts. By answering math questions, players earn boxes and are then challenged to build a stack without knocking them over. Some boxes are special and add bonus points! A fun animation with sometimes unexpected results is played once a level is complete. Players earn top points for answering equations correctly within 3 seconds - a demonstration of mastery. A progress monitoring graph keeps players and parents informed as mastery is achieved. Box Drop Math starts with simple equations that get harder as mastery is achieved. The game tracks and keeps scores for up to 5 players. Box Drop Math is designed by Jeff Holmes, an experienced instructional designer and researcher of how kids learn with technology. Although we don’t always want kids to “just learn the facts”, there remain a few areas, such as basic math facts, where sustained practice and memorization is essential for success. Box Drop Math provides the right level of fun and motivation to keep learners practicing until they memorize these basic equations. The game is designed to reward early achievement but keeps the learning challenging by providing more difficult questions as players gain confidence in their math skills.